← Penang tourist attractions sprayed with yellow ‘Bersih 4.0’. Mangy mongrels at work! What’s going on? Earlier, it was a fake Malaysian Insider news image featuring Dr Mahathir. @malaysiakini IS this fake? Why 2 diff figures? @malaysiakini We are watching ur news closely now. We know how you spin!!! 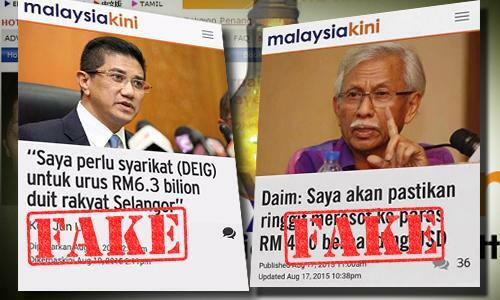 Malaysiakini has identified the circulation of false images depicting news items purportedly from the news portal. The first image titled “Daim: Saya akan pastikan ringgit merosot ke paras RM 4.50 berbanding USD” was circulated since yesterday while the second “Saya perlukan syarikat (DEIG) untuk urus RM6.3 bilion duit rakyat Selangor” made the rounds today. 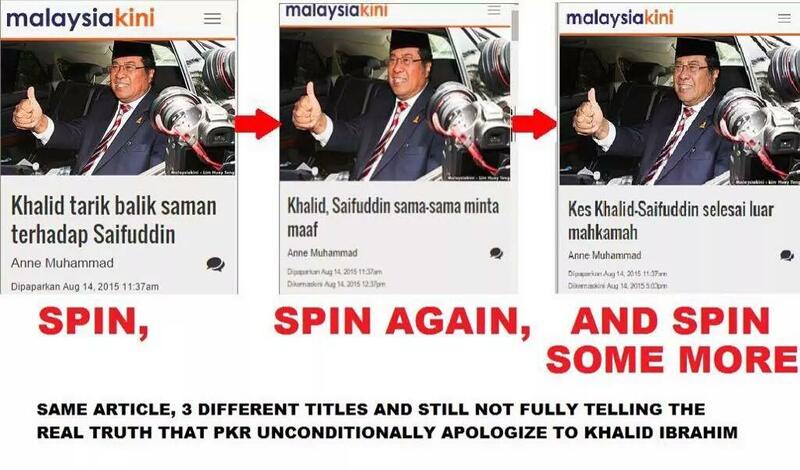 Both the images are not news items published in Malaysiakini. We would like to advise readers and the public to check the authenticity of such reports at the Malaysiakini website. For reference or further clarification, please contact Malaysiakini editors via editor@malaysiakini.com. 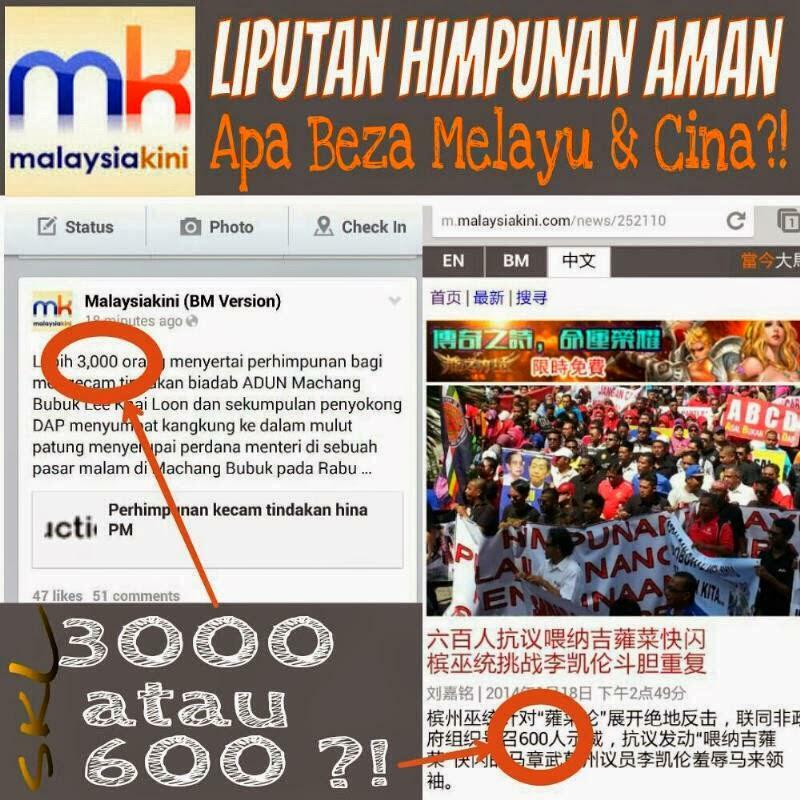 This entry was posted in fake malaysiakin news, fake malaysiakini new images, fake malaysian insider news iage (Mahathir), Malaysiakini and tagged fake malaysiakini news images, fake malaysian insider news images, Malaysiakini, malaysian insider. Bookmark the permalink.